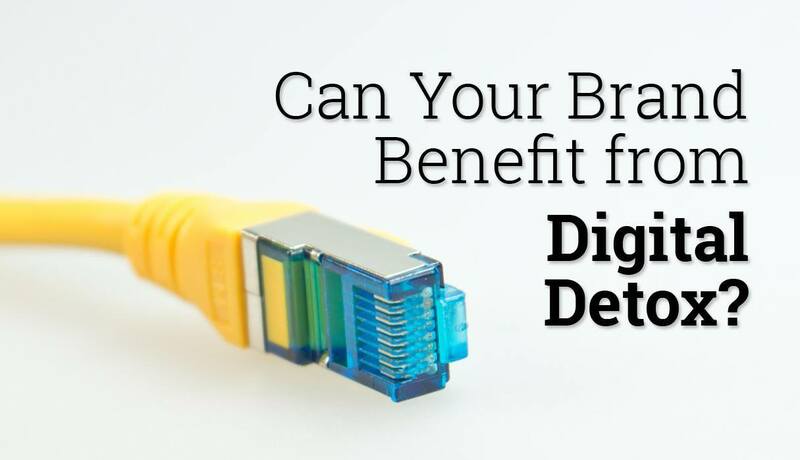 Can Your Brand Benefit from Digital Detox? As consumers, we’re exposed to a lot of ads each day. Just how many is up for debate; Consumer Reports puts the number at 247, and the Business Journal Phoenix says 600, while the Union of Concerned Scientists estimates we’re bombarded with 3,000 commercial messages in a single day. Whatever the number, I think we can all agree it’s a lot, and certainly way more than any one of us can possibly process. In the online world, banner blindness is a coping mechanism, one that enables us to read articles without breaking our concentration. That got us thinking: Can brands benefit from digital detox? We all treasure unplugging during vacations. Will brands benefit by offering consumers a similar respite? Before I explore this question, I just want to clarify something. When I say “digital detox,” I’m not suggesting the brands stop advertising altogether, digitally or otherwise. But rather than promote a specific brand message, take some opportunities to engage your consumers with something that’s fun, interesting, intellectually challenging, or even historical. Not too long ago, the fast casual restaurant Chipotle decided to give this concept a shot. In July 2014, the company announced plans to use its formerly blank bags and cups as literary canvases. They’ve lined up an impressive slate of writers to create short fiction and non-fiction works for their customers to read as they eat. So far, Toni Morrison, Malcolm Gladwell, Michael Lewis, George Saunders, Judd Apatow, and others have signed on. This fits my definition of a detox on two fronts. The first, obviously, is the lack of brand messaging on its packaging. Second, by giving its customers something interesting to read, those customers just might put down their cellphones and tablets while they eat. In other words, Chipotle is helping its customers detox for a little while. Energy drink-maker Red Bull has a similar approach, except that its preferred canvases are live events, such as its IFSC Boulder World Championships in Germany this August, which the company described as “a pulsating show of strength, discipline, and determination, and two worthy winners.” Attendees watched contestants scale rock-climbing walls. Clearly, these types of events are brand-related, but they don’t hit you over the head with brand messaging. They get you out of the digital world to participate in person. Just Google the term “digital detox,” and you’ll find lots of bloggers and wellness sites extolling benefits of unplugging for a while. Detoxing lets us enjoy quality time with friends and family, become more aware of our surroundings, and, well, live in the moment. I have no doubt that brands which provide these opportunities to tune in with our surroundings will earn the consumer’s goodwill. Ironically, it would take a lot more marketing (read: ads) to generate that level of goodwill.